—The New York Times Book Review. —Elizabeth Marshall Thomas, author of The Harmless People. —Rosellen Brown, author of Tender Mercies and Before and After. —Guy Davenport, author of The Geography of the Imagination. "There was a man I loved to visit. 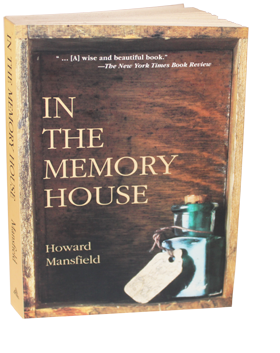 He lived in the house he grew up in-a wonderful, warm, cluttered house that seemed larger inside than out. There were long hallways and rooms, and a barn lined with the things he had collected-antlers and bones, small animal skulls, wood of all sorts. He would carve animals on these or paint scenes of how it used to be. He carved my wife’s wedding ring. I could have listened to him tell me stories for hours."